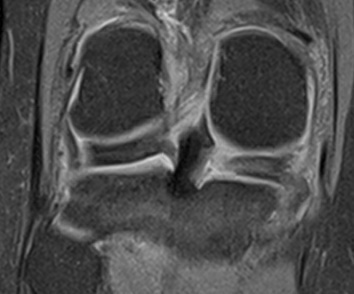 Coronal proton density image demonstrates a tear of the root of the medial meniscus. 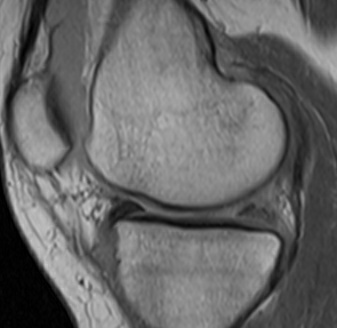 Sagittal image confirms heterogenous appearance of the posterior horn of the medial meniscus near its attachment on the tibia. Healed tear or scar may have similar appearance and would be difficult to differentiate from acute tear by imaging alone.